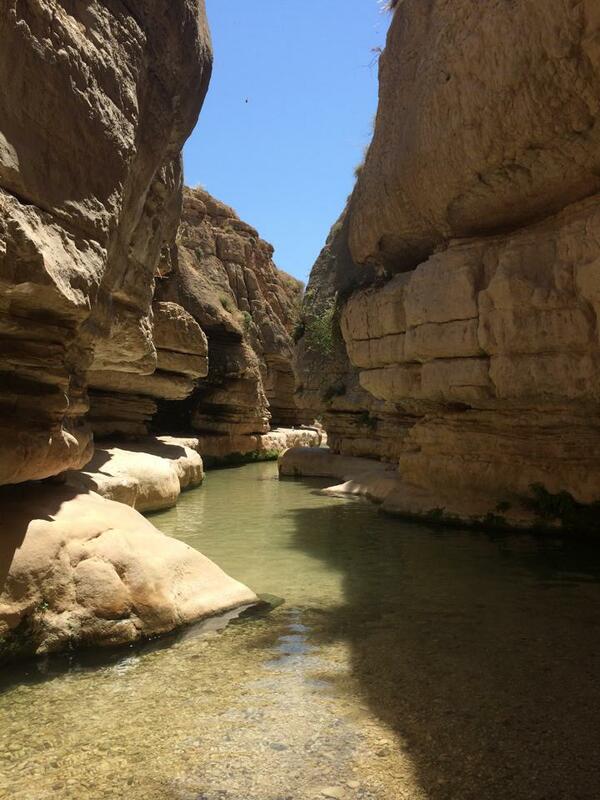 Wadi Qelt, also known as the Prat River, is a beautiful oasis of waterfalls and towering rocks, located deep inside the Jordan Valley, just outside the West Bank city of Jericho. Impossibly hot in the summer and suffering from flash floods in the winter it is not always possible to hike in the region. In addition to offering a variety of hiking routes, there is a great depth of religious history to be found in the Wadi (valley). The route passes one of the oldest synagogues in the world, and St. George’s Monastery, one of the oldest continuously active Greek Orthodox monestaries. There are also ancient aqueducts and ruins along the valley, with some dating from the 2nd century BC, during the Hasmonean period. Palestinians are able to travel throughout the West Bank, though they are forbidden from entering Israeli settlements. However, driving from Jerusalem to Wadi Qelt, you pass a number of checkpoints, some permanent and some temporary; checkpoints that exist for maybe only half an hour and are then moved. Checkpoints seriously inhibit Palestinians movement around areas B and C of the West Bank; many Palestinians are often forbidden from passing checkpoints, and are interrogated or delayed, making movement around the West Bank increasingly difficult. Furthermore Palestinians must take roads that skirt around the many illegal Israeli settlements that exist in the West Bank, making journey times up to twice as long. Although today both Israelis and Palestinians frequent the trails in Wadi Qelt with few incidents, historically it was a place of violence. In 1968, an Israeli lieutenant was killed in action while pursuing Arabs who had crossed from Jordan. In the years following the 1993 Declaration of Principles, several attacks were made on Israeli hikers for political reasons. Many Palestinian Bedouins live in the caves located in the steep rock faces of the valley, and regularly herd their sheep and goats through the valley. Together with Israeli settlers, international tourists come to enjoy the waterfalls and swimming spots along the way, and although there is almost always water in Wadi Qelt, the situation in other parts of the Jordan Valley is very different. Most of the communities living in the Jordan Valley suffer from a lack of water, needed for both themselves and for their animals, due to Israeli control of water resources. Palestinians are permitted to use only approximately 40% of the water located in the Jordan Valley. Settlers use about six and half times more water than the 56’000 Palestinian residents. Furthermore, Palestinian communities are often forced to use contaminated water that has run off from nearby settlements and Israeli owned factories. Despite the surrounding politics of the region Wadi Qelt is a desert oasis, where both Palestinians and Israeli’s can enjoy the natural water resources and adventurous hikes. The scenery is also incredible, you are walking below rocks filled with caves, many of them home to local Bedouin. There is also ample flora and fauna, as well as pomegranate trees and fresh spearmint growing. 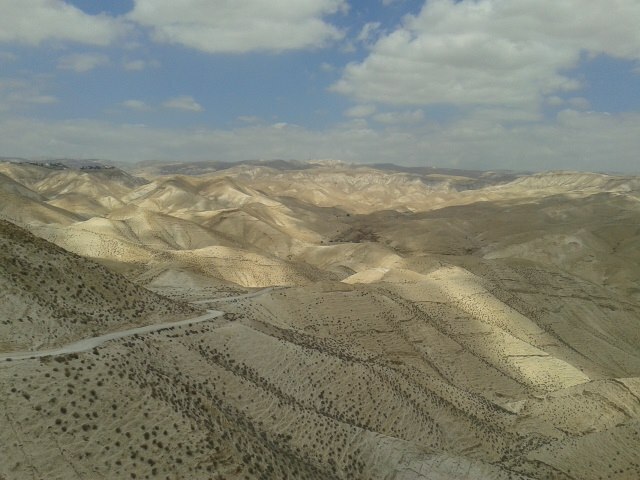 Wadi Qelt is for adventurous hikers who can handle terrain of medium difficulty. You will be climbing over boulders and wading through water, and while the hike isn’t more than three hours long, you will need to have a degree of flexibility to get through cracks and over the boulders. Bring lots of water, a picnic, your swimming stuff, and make sure you have good sturdy shoes for a great day out all year round. From Jerusalem, go to Azza Street (near Jerusalem Theatre), and take bus number 19 towards Hebrew University Mount Scopus. From here take bus number 216 towards Dvir/Reserve blocks. Get off the bus at Up Ariel (on Ma’ale Ari’el St.), from here it is a 1⁄2 hour walk to the beginning of the valley. Buses are fairly regular, coming twice an hour. From Ramallah, take a service towards Jericho, asking the driver to drop you off at the entrance to Wadi Qelt. You’ll have to cross the road, where on the right there will be the entrance to a settlement and on your left a gas station. 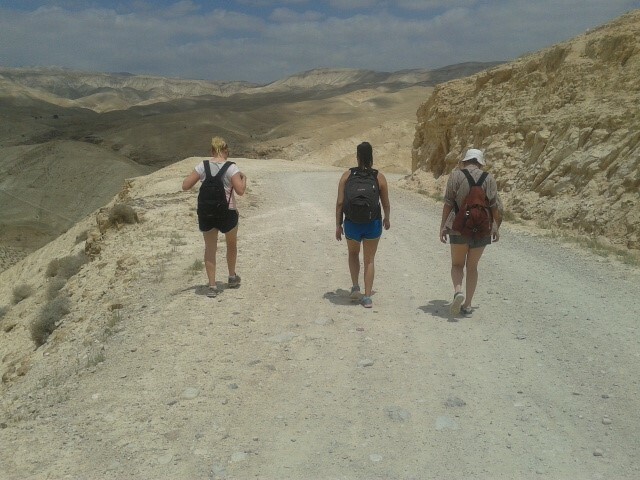 Take the left (there is a sign saying Wadi Qelt) and keep walking towards the valley, it’s about a ten minute walk. You then start walking down a dirt road and eventually get to the monastery. Take the road and stairs to the left of the monastery, and then path becomes clear. You will then get to a body of water – take off your shoes and go to the end. Here is where it looks momentarily like there is no path. Spend the next ten minutes scrambling over the rocks and you will find the marked path again, continue along it for the next two hours, there are lots of spots along the way to take a rest. You will know you are at the end when you get to a shop with 3 flags. From here you can get a lift back to Ramallah. Find more routes in Wadi Qelt, as well as around the West Bank, in Walking Palestine, by Stefan Szepesi. Hannah Barkan is an intern journalist living in Ramallah, Palestine. She has had her work published on Palestine Monitor and Europe Café. When not interning or writing, she can be found exploring the great outdoors of Palestine and looking for niche swimming spots.